Do you like the black & white washes I place in some of my paintings? Many people think they are remarks on s/n prints created in pencil. While I sometimes will remark prints with additional drawings, most of these are created in the original paintings in black washes of paint. These additional images are a hint of what I am trying to portray in the painting. ” Fifty Years ” was created for TU to celebrate its big anniversary. 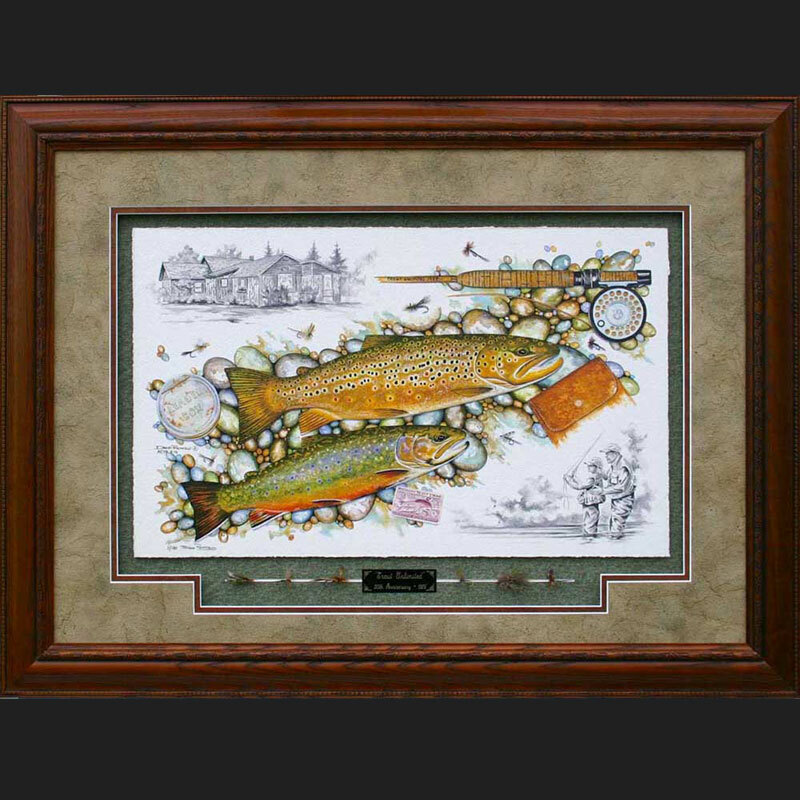 The trout, the Paul Young Fly Rod, and the Trout Stamp were painted in full color as the focal point. The black & white washes are of the cabin on the banks of the Au Sable River in Michigan where TU was started, and of an older fly fisherman passing on the knowledge of fly fishing to a younger one. These washes inform the viewer of this painting what Trout Unlimited is doing for our resources of clean water and the enjoyment of the outdoors.